Edith Bogart, 84, of Auburn went home to be with the Lord on Friday, February 8, 2019 surrounded by her family. She is the daughter of the late Clinton and Mildred Thompson Smith, life residents of Levanna NY. As a very young girl, Edith drove truck for the family owned milk hauling business. She worked for P&C Markets and retired from Welch Allyn where she was employed 19 years. 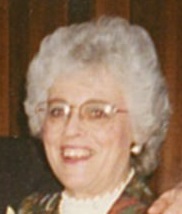 Edith was a very active member of the United Church of Auburn, volunteered at City Hall and Westminster Manor, and was a past member of the Scipio Chapter Order of the Eastern Star. Edie and her husband were well known in Auburn as “The Walkers” as they would be seen enjoying a 4 mile walk every morning and afternoon throughout the city. In addition to her parents, Edith was predeceased by her husband, Reverend Wesley Bogart, two brothers, Arthur and James Smith and a stepdaughter, Penny Fay. Visitation will be held from 11am to 1pm on Saturday, February 16, 2019 at the Brew Funeral Home located at 48 South Street in Auburn with a service to immediately follow. Burial will be at Fleming Rural Cemetery. In lieu of flowers, Edith has requested contributions may be made to Alzheimer’s Association 441 W. Kirkpatrick St. Syracuse NY 13204, American Cancer Society 6725 Lyons Street East Syracuse NY 13057, or United Church of Auburn 77 Metcalf Drive Auburn NY 13021.